Using our display techniques, we tease out the hourly and seasonal impacts on area power control. The measurements are made every minute, with 1440 time periods per day. The blue area in the evening show increase loading, reducing the grid frequency. The red areas show the grid frequency rising, indicating that the grid is over powered. The hourly striations are due to merchant producers as market participants coming in and out of the power pool. The PJM is largest power market in the world with over 60 producers supplying the market. 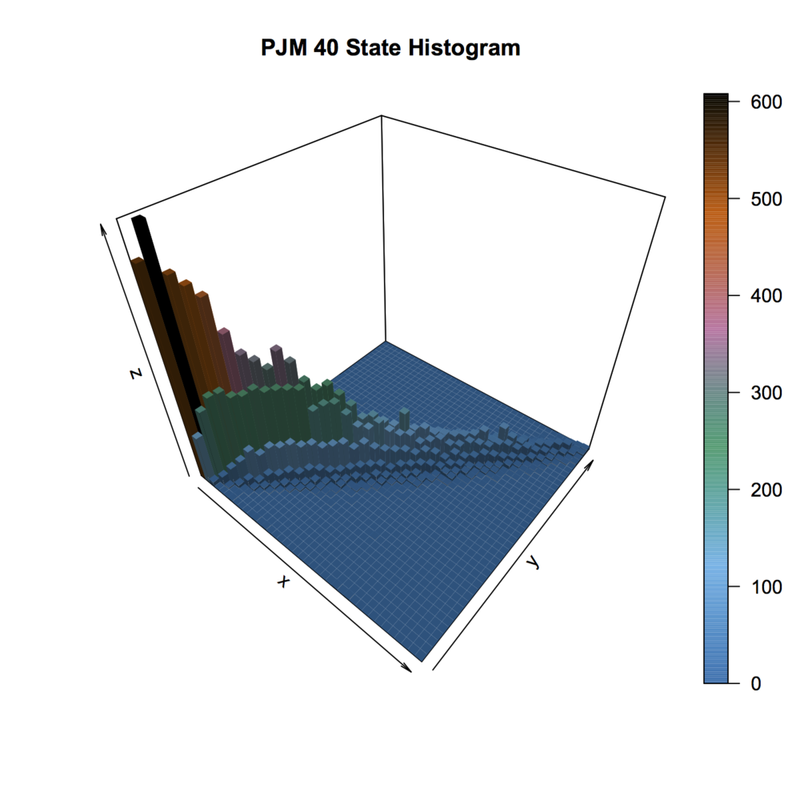 Power states from the PJM wind farms. The bottom x-y corner represents the Zero-Power State. As the wind increases, the wind states move to higher x-y positions. The z-axis is the likelihood for that state. 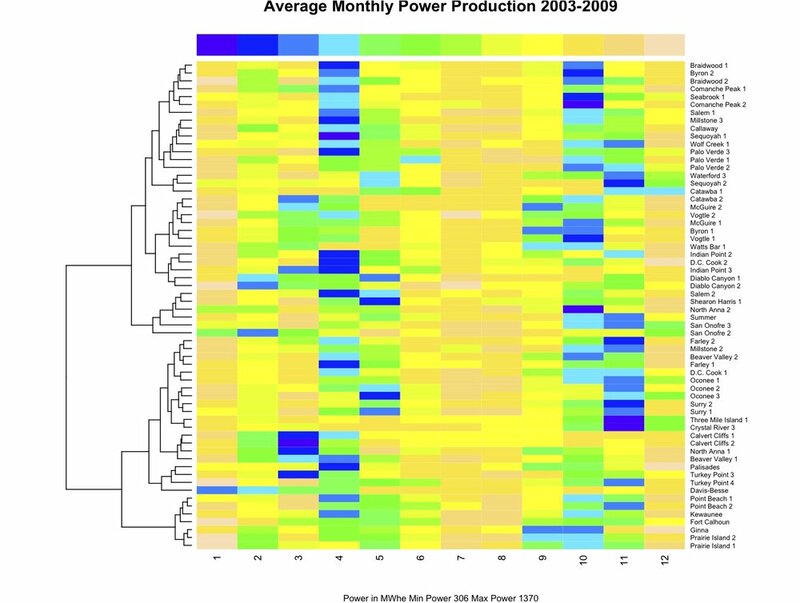 Power output monthly over a 6 year period for all US Pressurized Water Reactors. Refueling happens in the spring and fall. The operational performance between the wind and nuclear are clearly distinct. The two leading utility scale clean power sources fill complimentary roles. Wind is stochastic and provides power about 23% of the time. Nuclear power runs baseload and has planned outages depending on summer and winter peaks for the specific geographic region of operation.